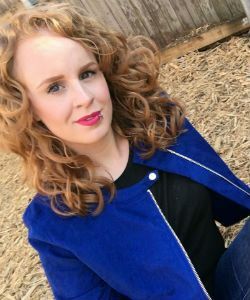 Although I haven't used direct heat at all since returning natural, I permanently color my curls. That with genetics have contributed to my high porosity hair. There's big hair and then there's big, defined hair. I prefer the second option. 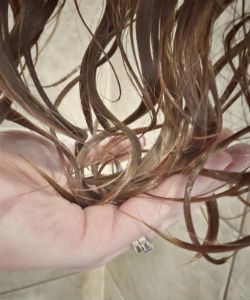 This is how a hair product becomes a Holy Grail for my low density, fine wavy type 2 hair. 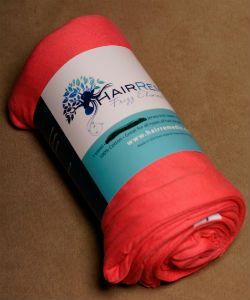 Most stylers we use are meant to keep the hair in place, not make it softer. These natural ingredients will balance out the crunch. 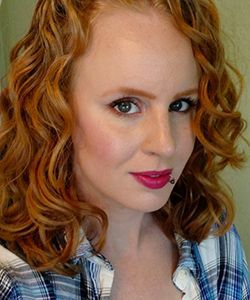 This technique has trained my curls to fall in place on their own for styling. 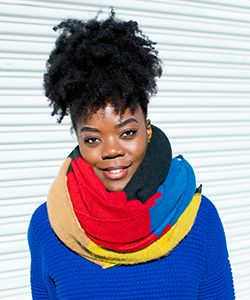 Do some gels leave your curls feeling dry and weak? Vitamin B5 will make them stronger. You've got questions and I've got answers. 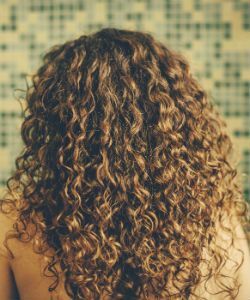 Here are your 3 FAQ about moisture retention for tight curly and coily natural hair. 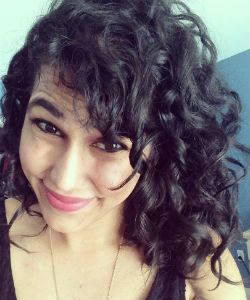 Here's how to keep your curls perfectly defined and moisturized without the crunch. 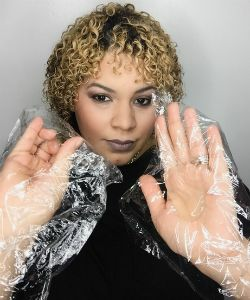 Curlpopnhair's Top Frizz Hack: "Apply Product With Plastic Wrap"
When my curly models were onstage, the bright hot lights would cause frizz. That's when I started using plastic wrap and gloves to apply product to their hair. 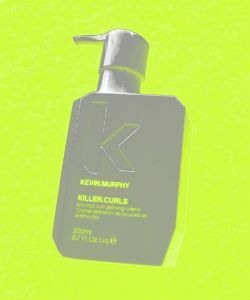 When you have hair that wants to pull straight without the right type of encouragement, finding curl defining products is a must. 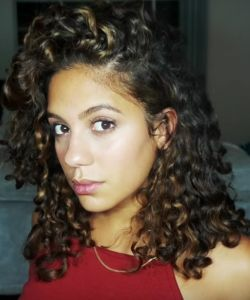 This is how I keep my wavy hair from being poofy or not defined. I don't like following product hype, but good thing I gave in and tried this frizz fighter. Is your hair short to medium, fine, and loose in texture? Having fine hair can be both a blessing and a curse. 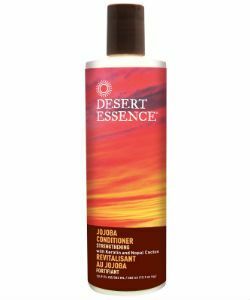 Even though the texture off-putting, I found this product worked extremely well on my 2nd day hair. 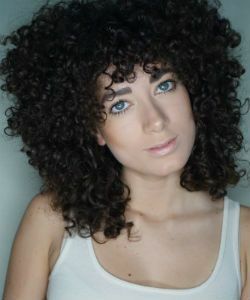 If your hair is fine, you should use a conditioner that will moisturize and add volume without weighing your curls down. 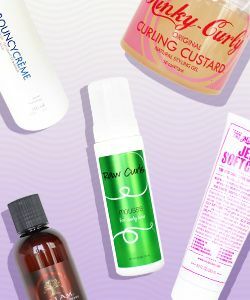 Throughout my curl journey, I've experimented with many different products. I've been on the hunt for a new and improved styler for quite some time. 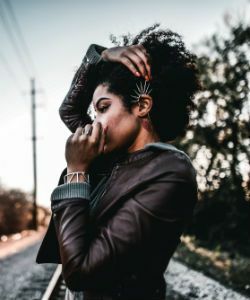 These 5 methods will prevent you from over-applying your styling products and avoiding hard hair. 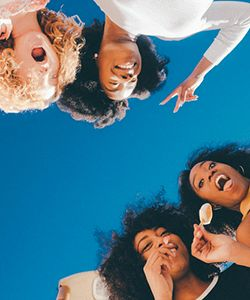 The 4 most asked questions about curl pattern and curl definition. 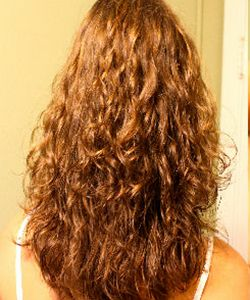 Can Hair Be Curly AND Straight? It's possible. Here's how to deal. 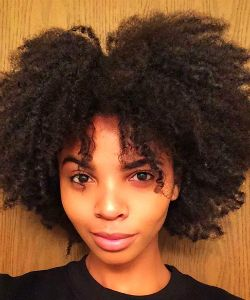 Can I Use A Gel While Transitioning to Natural? 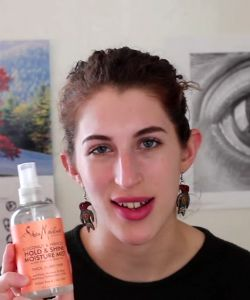 Contrary to popular belief, not all gels are bad for natural and transitioning hair. 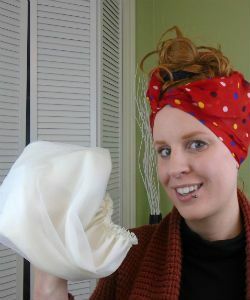 Ever since I ditched the terry cloth, I've been using this towel every time I plop. 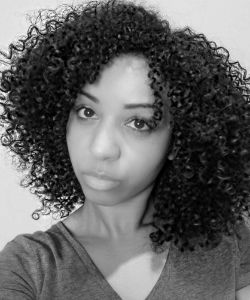 My 3c curls have been struggling to retain moisture and definition in this Texas humidity. Rejoice! Every product on this list is less than $10.